Many people have large families, some of which live in poorer parts of the world. It’s a common fact that a lot of migrants to Western nations get decent jobs and send some money back home to their families. People often migrate for better job prospects and to escape civil war conflicts in their home countries. The sad truth is that those, who seek a better life in a Western nation, cannot afford to bring their families over with them. In those cases, they give their families financial support. Despite being hundreds or thousands of miles away from them. If you have recently migrated and need to support your family back home, you might be wondering how to send them some money. There are plenty of ways that you can do this. The only downside is that some of those ways can present risks. In today’s guide, I will share with you some examples of how you can give your family back home some money. One of the most popular ways to send money to people is to use PayPal. Unless you have been living under a rock most of your life, you will know that PayPal gets used for buying stuff on eBay. But the good thing about PayPal is that you can send funds to other people that also have PayPal accounts. The process is quick and simple. Once you send the funds, in most cases, the recipient will have the money in their PayPal account straight away. They can then use that money to buy stuff online or transfer the cash into their bank accounts. Another benefit to PayPal is that you don’t have to sit at a computer to transfer money. The payment service offers mobile apps for all popular smartphones. That means you can send money home whilst you are out and about! What if you just want to do straight cash transfers without worrying about bank accounts? Western Union is a good alternative to PayPal. There are plenty of Western Union offices around the world. To send some money abroad, you go into one of the offices and fill out a form with the recipient’s details. Once you have paid the money, the recipient can then get it from their local office after ten minutes or so. For security reasons, the recipient will need to provide some documentation. Usually, this includes the transfer reference number and proof of I.D. before they can receive the cash. If both you and your recipient have access to the Internet, you can also transfer money online. Of course, Western Union isn’t the only company that offers cash transfers to various countries. Some people prefer to do things the “old-fashioned” way. I am, of course, talking about sending money in an envelope to their intended recipients. As you can imagine, there is a high risk of the money going missing in transit. Senders usually disguise the money in some way. Examples include putting them in carbon paper or hiding them inside birthday cards. Some even hide them inside books or magazines to deter rogue postal service and customs employees! Sending cash in the post is not something I would recommend you do for obvious reasons. Especially if you are sending large volumes of cash. Customs officials are entitled to open any envelopes or parcels for fraud reasons. It doesn’t matter if you use an international courier like DHL, the same rules apply. Some folks don’t like the idea of sending money to family members over the Internet. 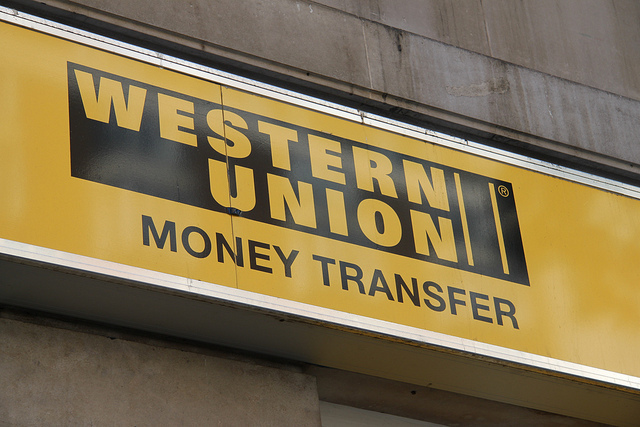 Or even using a money transfer service like Western Union. And sending cash in the post is perhaps the most riskiest of ways to send money. Believe it or not, some people prefer to give the money to their families in person. As you might have guessed, this involves flying to the individual’s home country. There are two ways that you can give money to your family in person. The first involves withdrawing the cash before flying to your home country. You can then hand the money over as soon as you meet your family. There is a downside to this option. And that is that customs officials at the airport may scrutinise your reasons for carrying such large amounts of cash on you. They have to do this if they suspect the cash is going to get used for money laundering and fraud. If you travel with large amounts of money in cash, you have to declare this information to customs officials. Because of the added hassle and scrutiny, this option is seldom used by people. A better way to give money to your family in person is to withdraw the cash whilst you are out there. You can either get the money out using an ATM or over the counter in a bank. If you are planning to do this, it is worth having a conversation with your bank before you do so. Many large banks have offices in various countries so it may be easier to withdraw the money from a local branch rather than using an ATM. There is one caveat to withdrawing cash: theft. 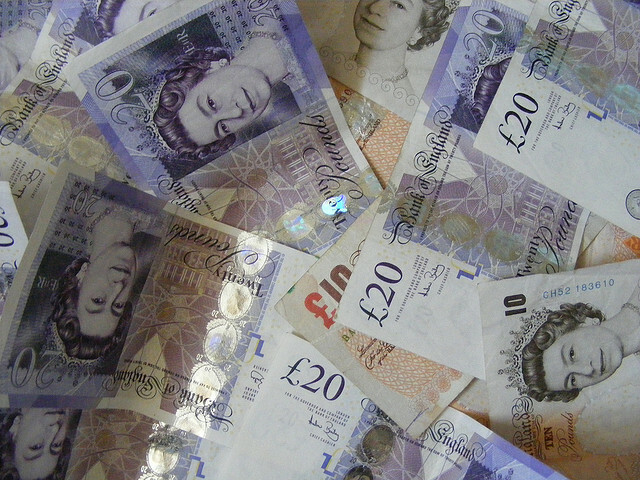 If your family lives in a crime-ridden area, the chances of your cash getting stolen from you are high. In some parts of the world, it’s not uncommon for locals, let alone tourists, to get held at gunpoint for their valuables. Giving cash to your family in person is simple but you will have to pay for travel costs.